If you're looking for a place that will take you back into history, but with the comforts of modern amenities, head to Óbidos. About an hour-and-a-half drive from Lisbon, Óbidos is a like a fairytale location—it's even got a castle open for exploration. While that in itself is a reason to plan a visit to this city in Portugal, there are many more reasons Óbidos is a perfect day trip from Lisbon or Porto. 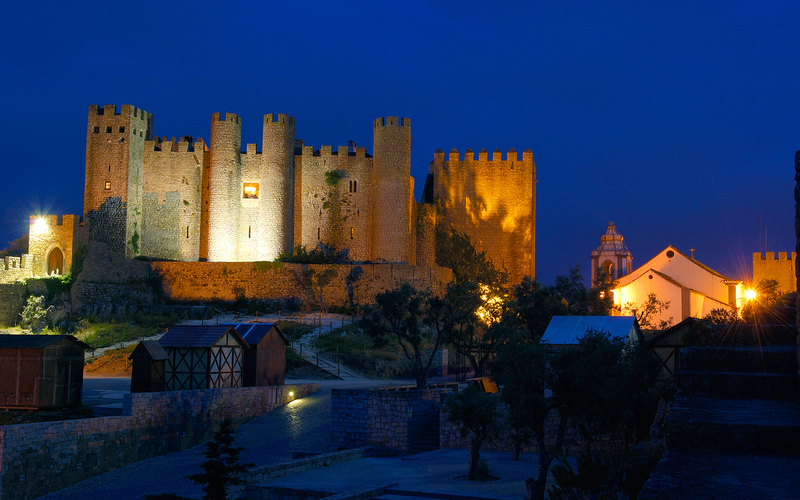 Much of Óbidos' ambiance still sets the scene of a medieval village. The castle was built 700 hundred years ago by King D. Denis and given to his wife, Dona Isabel, as a wedding gift. The castle's wall and a majority of its original architecture remains today. Speaking of castle walls, you can walk the entirety of Óbidos Castle's surrounding barrier. Wear comfortable shoes: The ancient stones and narrow walkway make it a frightening jaunt for anyone afraid of heights. Then set yourself up on a quiet piece of the wall with a glass of wine for sunset (or, if you're lucky, a supermoon viewing), and all of the exercise will be well worth it. Pousada Óbidos has a handful of rooms open for those who want to add “sleep in a castle” to their vacation checklist. There are a couple of towers that are also open to guests, if you're looking for a more authentic experience. Read all about what it's like to sleep in one of these towers. The Pousada Óbidos is ultra-romantic solely for its architecture, but the castle's restaurant takes an extra step to make sure visitors have the experience of a lifetime. There are two special spots where you can enjoy a meal: the Moon Table, and the Sunset Table. While they're pretty self explanatory, the secluded view of each natural scene transports you straight into a fairytale. If you've ever wondering what it would be like to spend the night in a bookstore, The Literary Man in Óbidos is the place to stay. The boutique hotel is home to 45,000 books, as well as modern accommodations, a restaurant, and gin bar. Visitors aren't allowed to bring their own cars into the city walls. The entire city has remained relatively preserved since being built in the first century, and the walls were not made to accommodate today's vehicles. 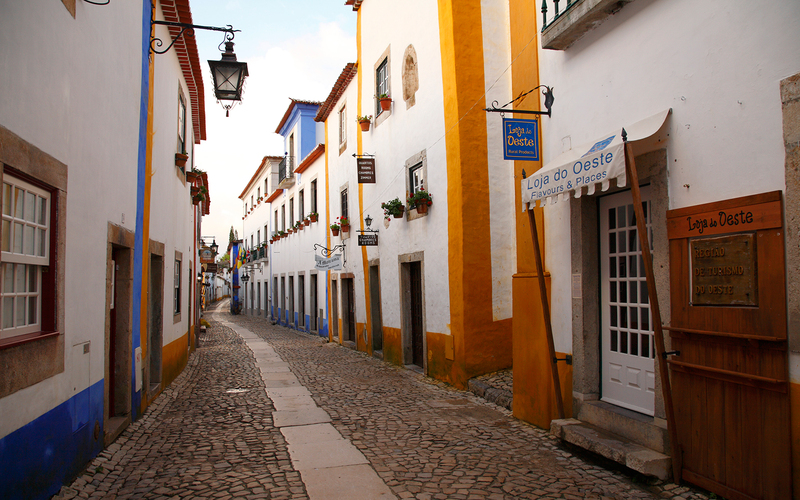 The streets are incredibly narrow, but guests staying at the hotels within Óbidos can get help moving their rental cars from the hotel staff. In fact, visitors who drive their car up to reception at the Pousada Óbidos will even receive a “World's Best Driver” sticker. Port may be the most well-known export from Portugal—specifically from the northern town of Porto—but it's not the only local sipper to know about. Ginjinha is a sour cherry liquor that's sipped, or taken like a shot. Traditionally, it's served in a tiny chocolate cup. History has it that the drink was created by a man who was looking to steal the affection of a woman. Booze and chocolate? Now, that would capture the heart of all kinds of people. This one is fair for any city in Portugal, given that you can find a great pastéis de nata around every corner. But there's something about enjoying a pastry and an espresso amid medieval architecture and cobblestone streets that makes it extra special.